The blurb: Bram Stoker's Dracula is the most famous vampire in literature and film. This new collection of sixteen essays brings together a range of internationally renowned scholars to provide a series of pathways through this celebrated Gothic novel and its innumerable adaptations and translations. The volume illuminates the novel's various pre-histories, critical contexts and subsequent cultural transformations. 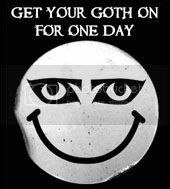 Chapters explore literary history, Gothic revival scholarship, folklore, anthropology, psychology, sexology, philosophy, occultism, cultural history, critical race theory, theatre and film history, and the place of the vampire in Europe and beyond. These studies provide an accessible guide of cutting-edge scholarship to one of the most celebrated modern Gothic horror stories. This Companion will serve as a key resource for scholars, teachers and students interested in the enduring force of Dracula and the seemingly inexhaustible range of the contexts it requires and readings it might generate. The review: The first thing I noticed about this volume was the inclusion of some of (for me) the genre’s heavy hitters: Stacey Abbott, Ken Gelder and Carol Senf. However, before I look at the volume specifically I beg your indulgence as I touch on a tangent thought reading the volume spawned. 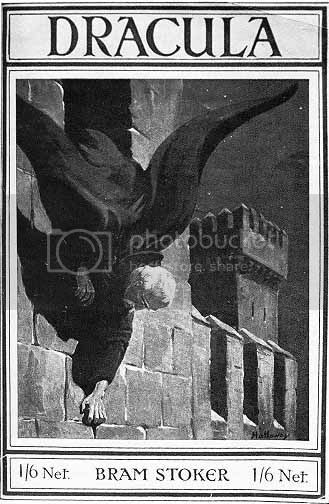 Many of the articles noted the place held by Dracula as part of the fin-de-siècle (that is related to, or characteristic of, the end of a century and, in art, most specifically the end of the nineteenth century) and rightly so; but this made me think about dates. Dracula is an epistolary novel but the documents that make up its body of text are dated to the month and day but nowhere is the year mentioned. In the New Annotated Dracula Klinger admits that the years 1882 and 1893 had the corresponding day/date combination (p517), before choosing a different date. Personally I subscribe to the 1893 theory as Charcot died on 16/8/1893 and, in a diary entry dated 26/9, the novel references his passing. So, as well as written, published and being part of the fin-de-siècle, it was set within it, and it struck me that the coda to the novel, which begins, “Seven years ago we all went through the flames,” was significant. 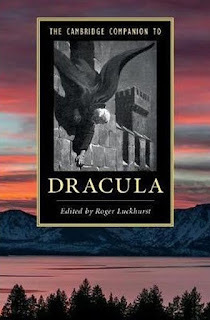 Stoker imbued Dracula with all the trappings of modernity and, consciously or subconsciously, addresses many of the moral and social concerns of the late Victorian period. However his optimistic coda to the horror revealed is set in the new century. Perhaps a subject for exploration? Enough of that, however. What I did like about the collection of papers in the book was that, until the final section on adaptations, most of the writers attempted to look firmly at the novel, rather than allow themselves to be swamped under the various re-interpretations. The one who, comfortably, stepped out of that mould was Ken Gelder whose paper explored the transnational vampire, reconnoitring the American South, Sweden and Japan. This was interesting but too vast a subject for a short paper/chapter. Gelder also missed some tricks. Talking about vampires and slavery in the American South, a reference to the first US vampire story the Black Vampire: A Legend of Saint Domingo would have been poignantly ironic calling, as it did, for universal emancipation, given the slavery associations he highlights. The other missed trick was around Japan. There were other Japanese vehicles that could have been mentioned, in which Dracula (and in some Draculina for the feminine) has become a genus and this would have brought the discussion back around to the novel that was the focus of the volume and its enduring impact. To miss the Toho Bloodthirsty series, and their loose affiliation to Dracula, was a grievous omission. However, criticism aside, Gelder was as fun to read as ever. A volume highlight for me was Matthew Gibson’s Dracula and the East. I did not necessarily agree with the idea that Stoker made the Count a Székely as a deliberate change for premeditated reasons but rather it was further evidence that his amalgam character was a pastiche of sources, but the paper as a whole was a joy. The weakest chapter for me was Nick Groom’s Dracula’s Pre-History; The Advent of the Vampire. If, later, Stacey About repeated the conflation of Count Dracula with Vlad Ţepeş, she at least recognised that many scholars disagree with the depth of the conflation (I would say have outright debunked). Groom did not touch on this. Indeed he associated both Ţepeş and Báthory with Count Dracula stating “Elizabeth Bathory was reputed to bathe in the blood of young girls in order to retain her youthful beauty, and the fifteenth-century Wallachian warlord Vlad Ţepeş allegedly executed tens of thousands by torture and impalement: roasting children and feeding them to their mothers, forcing husbands to devour wives, and ultimately impaling all of his victims. Stoker would have been familiar with this material through Victorian surveys such as Sabine Baring-Gould’s Book of Werewolves (1865)” (pp 11-12) I take issue with this. Whilst Stoker did use Baring-Gould’s book as reference (and took some of the Count’s appearance from the book) what are these other surveys? Groom doesn’t say. Báthory (named only as Elizabeth ------) is described by Baring-Gould but Ţepeş is not. Given we know Stoker's research volumes, we know that the only reference he had to Ţepeş was from Wilkinson and the paragraph I have quoted above might be described, if one were being harsh, as academic sleight of hand. As an aside, given that he mentioned Baring-Gould, it is a shame that Groom – when mentioning Draugr – didn’t mention that Baring-Gould specifically named them vampires in Curious Myths of the Middle Ages (1876). However, in the main I was impressed with the argument and academic rigour in the volume as a whole. I did think, as I read, that Roger Luckhurst might have mentioned Psychopathia Sexualis in his paper/chapter Dracula and Psychology but this is picked up in the next chapter as Heike Bauer discussed Dracula and Sexology. Likewise Bauer might have picked upon the continental (or French, at least) association of vampirism and necrophilia as highlighted in volumes such as Là-Bas. 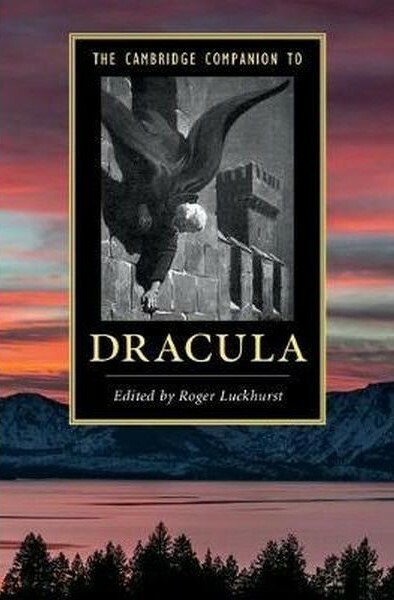 As a whole, however, this volume is necessary for all serious students of Dracula and the wider genre. 9 out of 10.